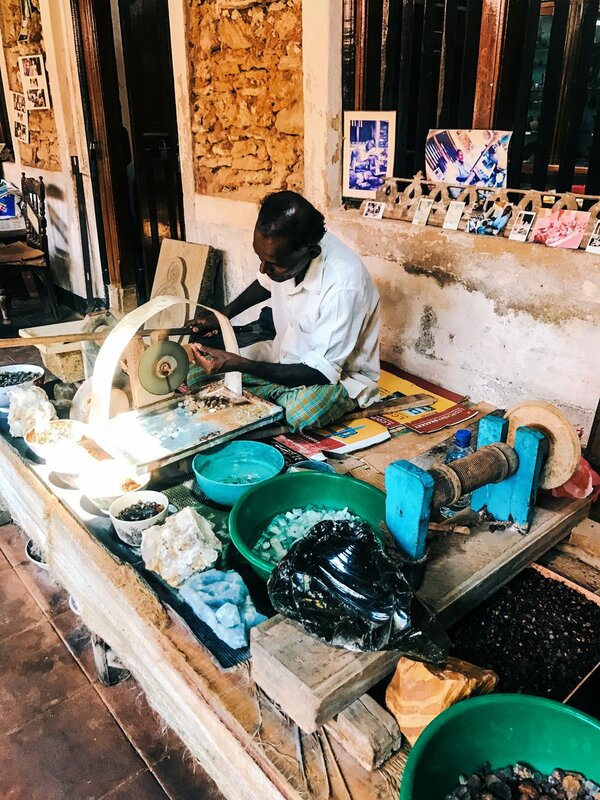 I am so excited to finally be sharing this Sri Lanka blog! Sri Lanka has been a trending destination among travelers the last couple of years and I completely underestimated why until I got there. Sri Lanka is said to be the only country in the would where you can see the world’s largest land mammal, the elephant, and the largest marine mammal, the blue whale, in a single day. There is so much history, culture, heritage sites, national parks, golden beaches and my favorite, elephants! The best time to visit most of Sri Lanka is between December and March. We decided to take on a few cities while on the island. We started in Colombo, traveled to Rambukkana, next to Kandy, Tangalle, and back to Colombo. Sri Lanka has so much to offer that we look forward to going back one day and capturing cities and experiences we couldn’t get to this first time. Hotel Elephant Park - Our first hotel stop in Sri Lanka, located in Pinnawala within walking distance of the Pinnawala Elephant Orphanage. This hotel sits atop a river with views of gorgeous natural suroundings and you are in prime view to see the elephants coming to bath in the river. This view was mesmerizing! You are in walkable distance of great market shops lining the street and you will get some authentic sri lankan cuisine here. This hotel is a must stop when visiting Sri Lanka. 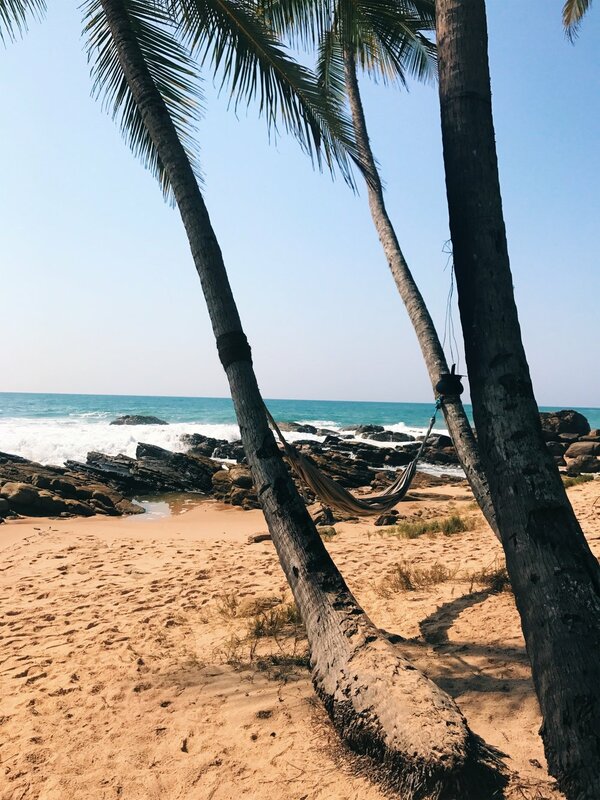 Anantara Peace Haven Resort - Our second stop is this oasis hidden on a rocky outcrop along a secluded stretch of Sri Lanka’s southernmost coastline amidst a coconut plantation fronting a golden crescent beach. The cover photo is from this resort, it’s truly an exotic beach hideaway and one of my all time favorite resorts I have ever stayed. 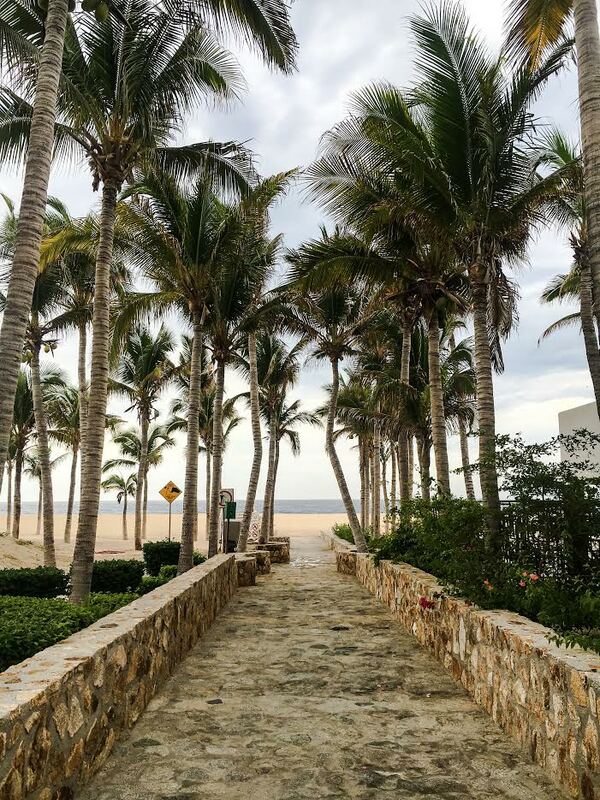 You can easily feel like you are the only one on the secluded beach. Attractions near here include Rekawa Beach, Handunugoda Tea Plantation, Hummanaya Blow Hole, Yala and Udawalawe National Park, Bundle National Park (Flamingos!! ), and Mulkirigala Rock Temple. Amanwella- If you have been reading my blogs you know I am an Aman property lover and this destination has not one, but two aman properties to offer. Amanwella is located on the southern coast of Sri Lanka, by the town of Tangalle. Suites are flooded with light which open on two sides to private plunge pools and large terraces overlooking the golden beaches of the Indian Ocean. Attractions near here are Udawalawe National Park, Yala National Park, and the village of Palapotta, famed for their pottery making. Taru Villas Lighthouse - This was our third hotel stop located in Galle Fort. A stunning boutique hotel rich in Dutch Colonial heritage located on lighthouse street. Located within a beautifully preserved building, you will be in walking distance of stunning colonial houses, quirky shops and quaint cobblestoned streets. The hotel offers a bed and breakfast feel with a shared dining table for breakfast and dinner. You can also enjoy the rooftop patio for afternoon tea. Amangalla - The second Man property is located in the UNESCO Heritage Site, Galle Fort on the West coast of Sri Lanka. The property sits within a 17th century Dutch colonial building among this historical street. Popular attractions near here are Sailing from Marissa Harbour for whale watching, the city of Ambalangoda, which is the center of Sri Lanka's mask-making tradition, or the Yatagala and Rhummasala Rock Temples. Ceylon Tea Trails - This is the world’s first tea bungalow resort. This resort comprises of five restored colonial era tea planter residences and borders the World Heritage Central Highlands and offers breathtaking panoramas of mountains and lush tea fields. Attractions close to here are Adam’s Peak, Kandy (a UNESCO World Heritage Site), and Horton Plains National Park. I’d definetly book the Taylor’s owners cottage. Wild Coast Tented Lodge - Wild Coast Tented Lodge is adjacent to the world-famous Yala National Park, renowned for its dense leopard population. 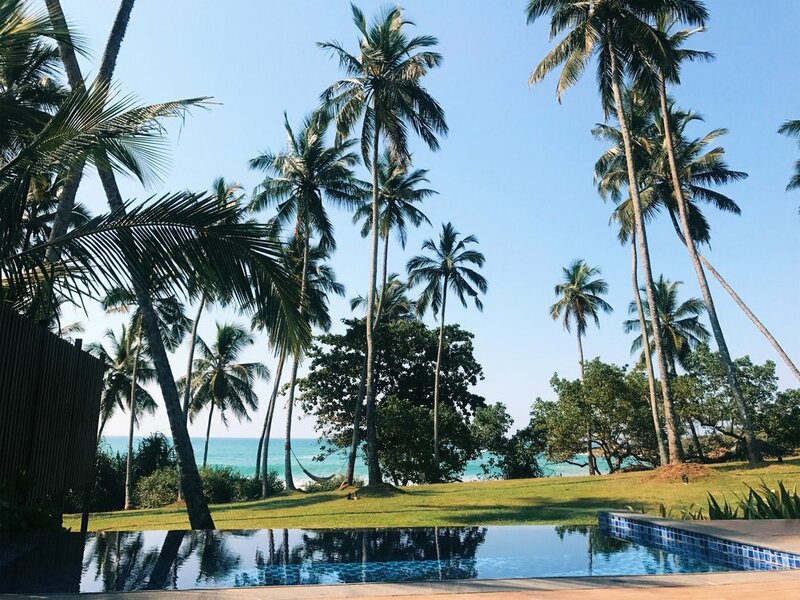 This luxury tented camp is situated in a stunning location where the jungle meets the pristine shoreline, overlooking the blue waters of the Indian Ocean. They have played this resort out on the shape of a leopard paw, bring your drone! This place is nature’s art work. Pinnawala Elephant Orphanage - This was one of my all time favorite experiences while in Sri Lanka. Pinnawala Elephant Orphanage is an orphanage, nursery and captive breeding ground for wild Asian elephants located at Pinnawala village, they have the largest herd of captive elephants in the world. There are over 150 elephants living in this sanctuary. Everyday they bring the elephants out for bath time into the river, which Hotel Elephant Park is the perfect spot to catch these beautiful creatures bathing. You may also visit the orphanage and feed baby elephants milk too! Tea Farms - Tea is one of the top foreign trades in Sri Lanka, which makes the tea plantations a popular site when visiting Sri Lanka. These lush green hills are a beautiful back drop when staying in central Sri Lanka. You can also catch these views while taking the train, which is listed below as another wanderlust experience. Yala or Udawalawe Park - Leopard and elephants oh my! Yala National Park has the world’s largest population of leopards, along side white elephants and wild deer that live here too. Book a safari ride here and tour through the park seeing these animas in their natural habitat. You can also camp here over night if your the adventure seeking type. Udawalawe National Park is providing shelter to animals displaced by the construction of the Udawalawe Reservoir on the Walawe River. Their big draw is the population of over 250 elephants living there. There are many lodging options near the park if you’d like to stay close to safari! Mulgirigala Rock Temple - This is an ancient Buddhist Temple built on a natural rock. You can get here by departing Tangalle. This is a popular tourist destination due to the beauty and sprawling panoramic views once you reach the top. If you are staying in Tangalle while visiting Sri Lanka, this temple is only a 25 minute drive. 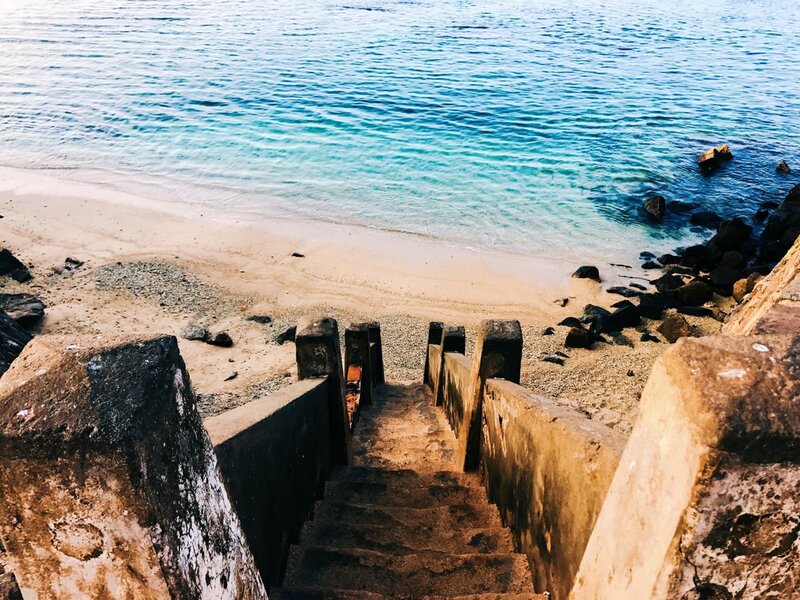 Explore Galle Fort - Galle Fort is a UNESCO Heritage Site located in the Bay of Galle. 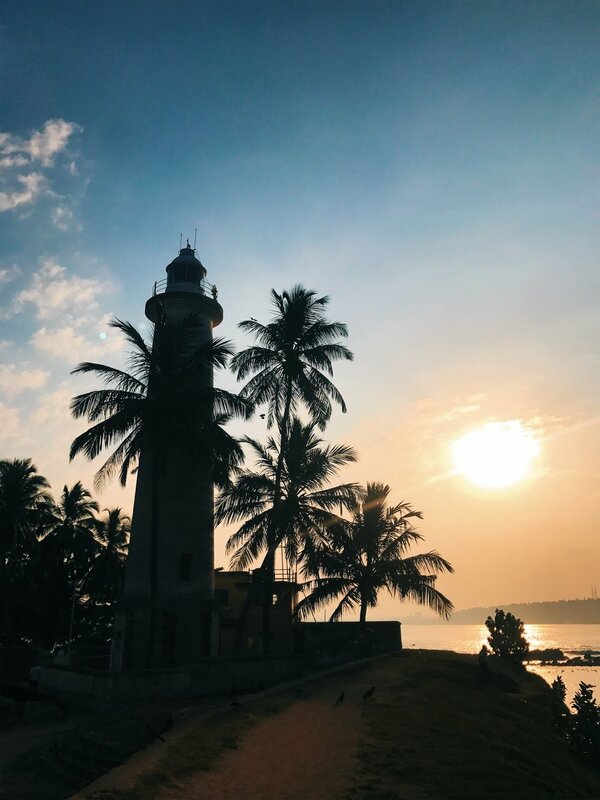 This city sits inside, raised above the walls of the fort overlooking the Indian ocean.The cobblestone streets throughout the fort will lead you to discover great boutique shops, restaurants and history such as the Galle, Lighthouse, Old Dutch Hospital and the Maritime Museum. We took an early sunrise run around the walls of the Fort and we were not disappointed in the views and discoveries along the way. This is definitely a top stop while visiting Sri Lanka. Kandy to Ella Train -Dubbed the most beautiful train ride in the world, the famous train ride takes you through a seven hour ride seeing the most stunning landscapes, tea plantations, waterfalls, and small villages in Sri Lanka. You can buy a ticket at any train station once in Sri Lanka. Temple of The Tooth - Kandy is the city where thisBuddhist temple is located, which is in the royal palace complex of the former Kingdom of Kandy. This is the most important temple in Sri Lanka. You will see gorgeous interiors and colorful worship temples located inside this temple. Kandy is considered a UNESCO World Heritage Site. Whale Watching and Stilt Fishing - If you are staying on the southern coast of Sri Lanka from November to April you will want to hop on a boat and catch the best vantage point for whale watching. 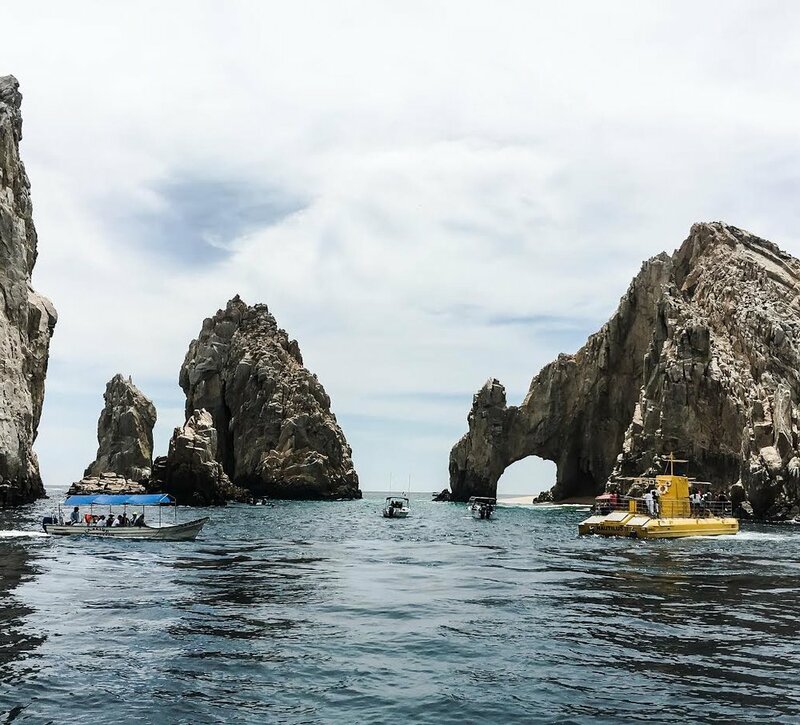 You will have a chance of spotting Blue Whales, Fin Whales and even Sperm whales in these waters along with a variety of dolphins. Secondly, the beautiful sight of fishermen balancing on branched poles as they fish skillfully during dawn, noon and dusk can be witnessed on the southern coast Beaches like Marissa Beach, Hikkaduwa Beach and Unawatuna Beach. You can even try your stilt fishing skills out as most fisherman are happy to share their knowledge. Adam’s Peak - It’s 5,500 steps to get to the top of this popular destination located in central Sri Lanka. This Peak is known for it’s Sacred Footprint formation near the top of the summit, which is said to be Buddha’s footprint. This is the most sacred mountain in the country, so your hiking adventure awaits! Sigiriya Rock Fortress - Eight wonder of the world, Sigiriya or Sinhagiri is an ancient rock fortress located in the northern Matale District near the town of Dambulla in the Central Province, Sri Lanka. Built over 1,000 years ago, the UNESCO listed World Heritage Site is Sri Lanka’s most popular attraction. Elita - Located in Galle Fort, Chef Krishantha Suranjith is known for is mad skills in preparing seafood! His restaurant has great views out to the lighthouse and harbor . Make sure you pick the table out front or upstairs in the cute dining room. Empire Cafe - If passing through Kandy be sure to stop here. This vibrant glowing pink and turquoise cafe is perfect for your hunger and your Instagram. Street Markets - There are plenty of street markets where you can get authentic Sri Lankan food. Don’t pass up the opportunity to experience the street market cuisine. Cuisine at Anatara - This resort offers so many different cuisine experiences. My favorites are the wine cellar and cooking class, Spice Spoons, offered here. The class includes a trip to the market in a Tuk Tuk and just that is worth this experience. I have linked the other cuisine options the resort for you here. Cuisine at Hotel Elephant Park - Here is where you will get an authentic meal. Enjoy breakfast on the terrace while watching the elephants bathe. It’s one of the top breakfast’s you will ever have, promise! Cuisine at Taru Villa Lighthouse - If you stay here be sure to join in on dinner in the shared dining room. Their chef offers a great Sri Lankan dinner alongside cocktails that were really outstanding. 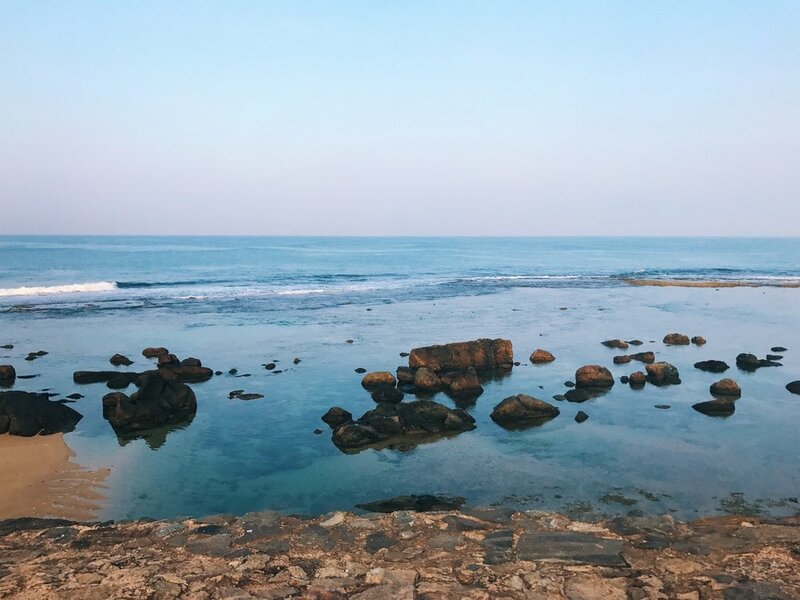 Sri Lanka was a dreamy destination. 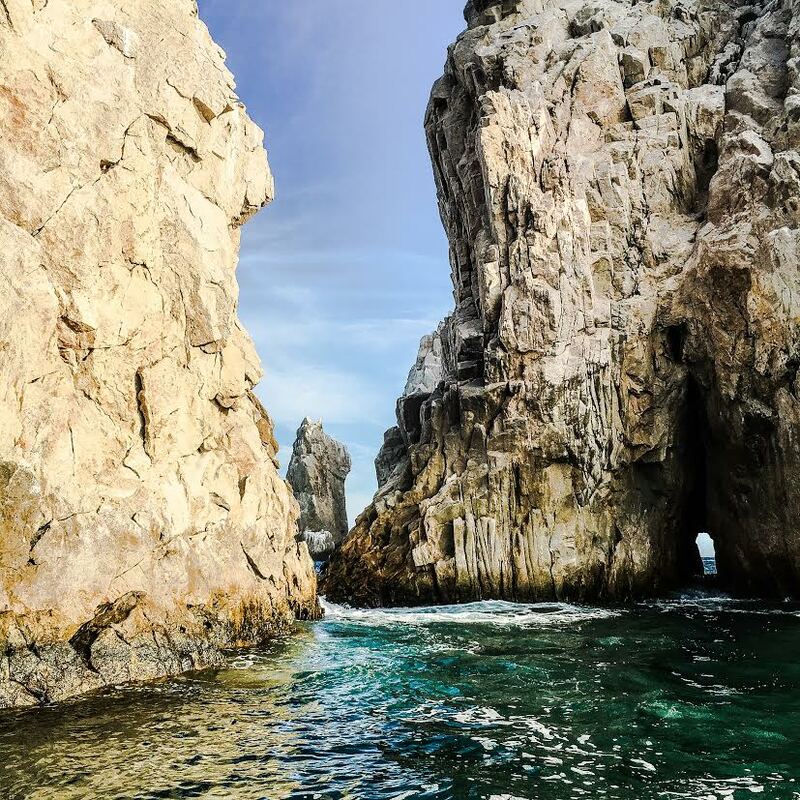 There is something for everyone on this island from adventure, culture, history and relaxation. I hope I have inspired you to travel to “The Teardrop of India”. As always, feel free to message me with questions about this destination. Stay Wandering!